Hi. I think that the instuctions for downloading Google maps are a bit to simplified. I had to figure out myself, that only existing positions allowed map downloads. After this i could download, but the download file was empty and Opencpn did not regocnise it. Has this something to do with my location? Denmark Europe. I agree, not very clear as to how to do this download, but a great idea. "Navigate to the location you are interested in on sQuidd.io." -what does this mean. Navigate in SQuidd.io - I do not see a mapping feature in sQuidd.io - do you mean on google maps. I only see one location noted for Staniel Cay, Bahamas. When I click on it, with sQuidd.io enabled, it does not show any other mapping facility. Great idea - not sure how to take advantage of it. "navigate to the location" simply means go to that location page on squidd.io . 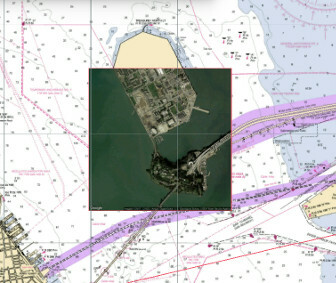 For instance, if you wanted to download a chart of the area around Treasure Island in the San Francisco Bay you would go to https://squidd.io/places/2812.